Bliss Gourmet Baked Goods are hand-crafted authentic Italian recipes that have been passed down three generations. We have strong family ties to Italian culture, which was instilled within us by our father, who gave us the drive to share the traditions. Bespoke designs the defy convention, dare to be extraordinary and taste out of this world! We specialize in custom cakes, cupcakes, macarons, cookies sandwiches and more! Cinnaholic takes cinnamon rolls to gourmet levels, with rolls topped with over 30 different frosting flavors and a variety of different toppings all made with the highest quality ingredients to tickle your taste buds. The Eiffel Tower has over 6 decades of experience creating delicious cakes and pastries. 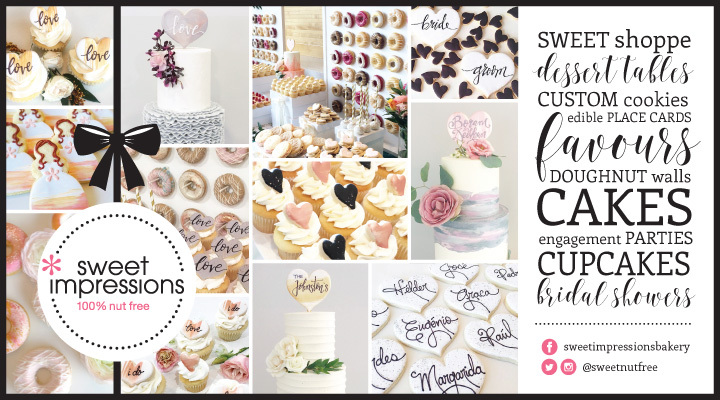 From stunning tiered cakes, to spectacular sweets tables, to sassy bachelorette treats, we have the perfect confections for every occasion from your engagement party to your first anniversary! MB Honey Company. Selling delicious liquid, creamed and flavored honey, honey stix and honey soap. Specializing in custom honey wedding favors. Your wedding should be a unique day that celebrates your story! We’d love to add the colour and bling and take a few things off your list that you don’t have to worry about! Visit us in booth 604 so we can help you Share the Love! Your late night wedding snack specialists! From the classic to outside the box designs, we make cakes and cupcakes to full dessert tables, customized just for you and your special day! Sugarjoy is all things sweet and happy. We are an online confectionery boutique focused on sensationally flavored, clean candy. Our gourmet treats are imported from Sweden and are custom designed and produced using Scandinavian recipes and high quality ingredients. Sugarjoy candy uses natural colors and is free of trans fats, high fructose corn syrup and genetically modified ingredients. Our candy options include: All Candy, Sour Candy, Sweet Candy, Gluten-free Candy, Sugar-free Candy, Vegan Candy, and Candy Boxes. Classic and pretty wedding desserts. Beautiful buttercream cakes, doughnut walls, cupcakes, edible place cards, favours and dessert tables customized to incorporate your wedding colours and details. 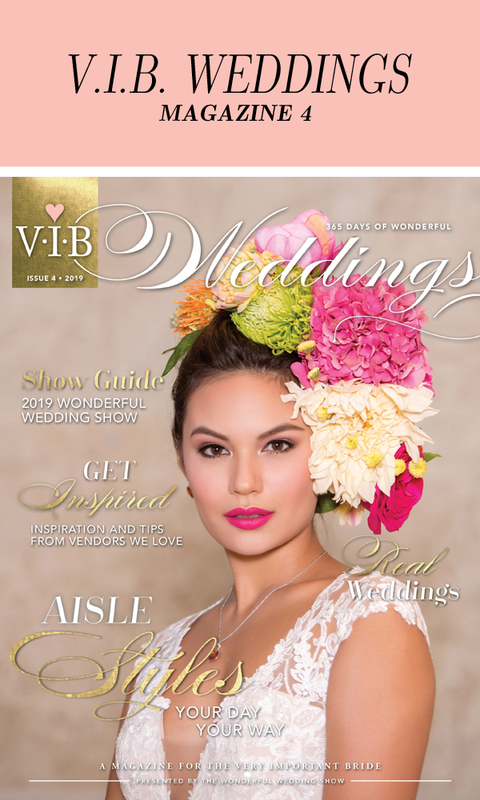 Book your wedding consultation online. Three 6 Tea offers highly customized and unique wedding favours. Schedule a tea tasting session and choose from 150 premium loose leaf teas. Personalized packaging is created to reflect your colours, style, and sentiment.